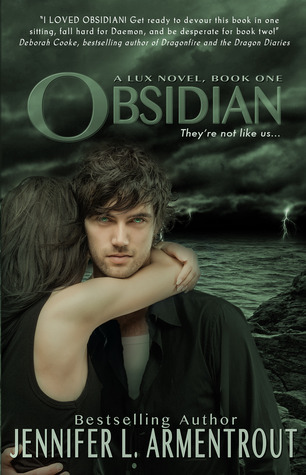 Obsidian by New York Times bestselling author, Jennifer L. Armentrout, has been optioned for a movie by Sierra Affinity, the same people who will be bringing Ender’s Game to the big screen this fall. Obsidian is the first in the five title bestselling “Lux” series. Sierra Affinity will finance and produce the film adaptation of Obsidian, about a 17-year-old girl who discovers that her neighbor is anything but the normal guy next door. The Hollywood Reporter broke the story, but even big names like MTV Hollywood Crush and Yahoo! Movies are following suit. Do you think Obsidian could give Twilight a run for its money? Who would you dream cast as Katy and Daemon? Come find out what the buzz is all about and read this fantastic series today! I literally screamed when I read that they’re making it into a movie! SOOOOOO exciting and personally I love Daemon and Katy way more because Katy is strong and feisty and Daemon is protective and not so much only about Katy. LOVE them both!